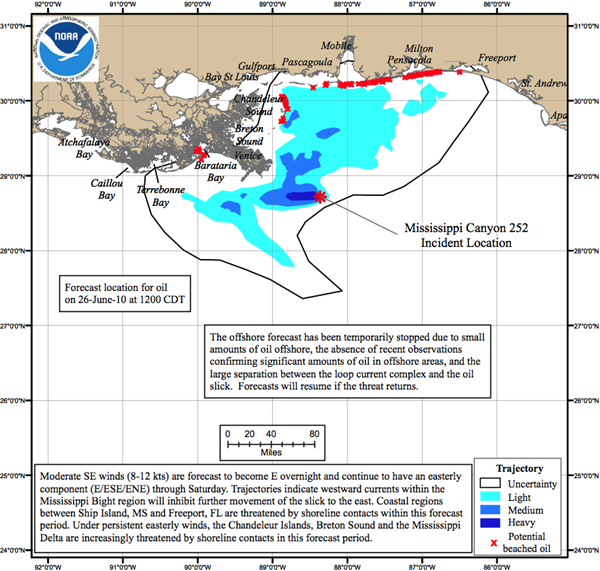 Remember my comment about BP wanting to drill in 500 ft. not 5000 feet Gulf depth? Turns out that everyone (even the Pentagon and Secretary of Energy and the Pres. as well) signed-off on deep drilling. Their logic was self-sufficiency in-event war came with Iran and we needed nearly 8-10 months of oil without worry about any closure as might occur of the Straits of Hormuz. Perhaps the timing of the fast-paced drilling had an undisclosed urgency to it after all (we really donâ€™t know that part). But we do know that Washington green-lighted the Macondo drilling operation from the start, and that began in Keathley Canyon Block 102 Southeast of Houston (the Tiber Prospect). The Government authorized drilling up to 35,000 feet total, and this well run awry may as it turns out have been intended to make us self-sufficient (the opposite of catastrophe and indeed the politics would have been inverted). Given that the discovery well was â€˜even biggerâ€™ than anticipated (worldâ€™s largest) one has to wonder whether the â€˜reliefâ€™ wells are desperately intended not only to â€˜relieveâ€™ but to produce petroleum (we sure hope so), but also to fulfill the undisclosed National Security imperative we hear of. It is one thing to talk about the SPR (strategic reserve) but another to be self-sufficient.